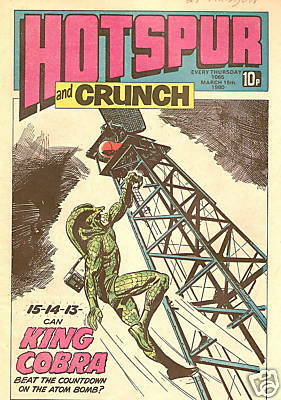 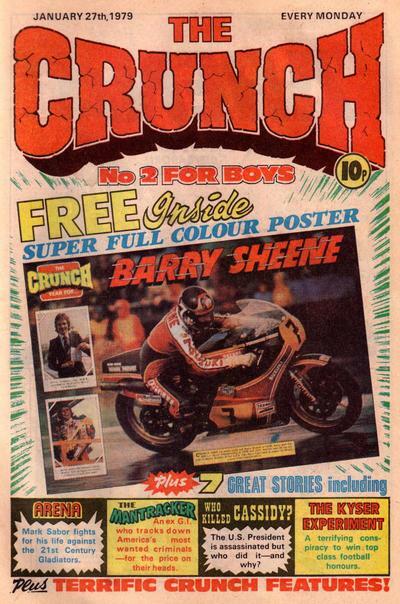 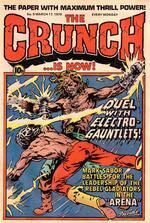 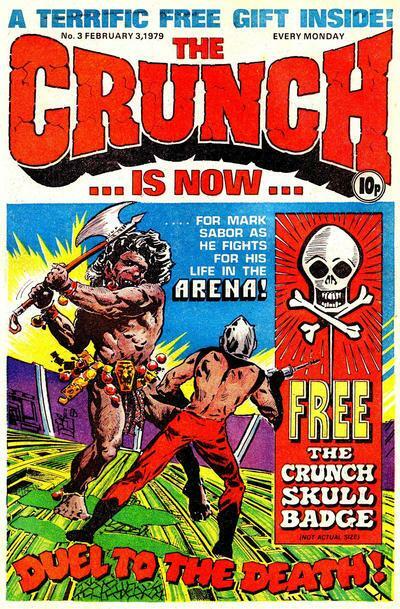 The Crunch was a British comic title for boys, from Scottish publishers DC Thompson, that ran for 54 issues from 1979 to 1980, when it was merged with the more popular and well established title ‘The Hotspur’. 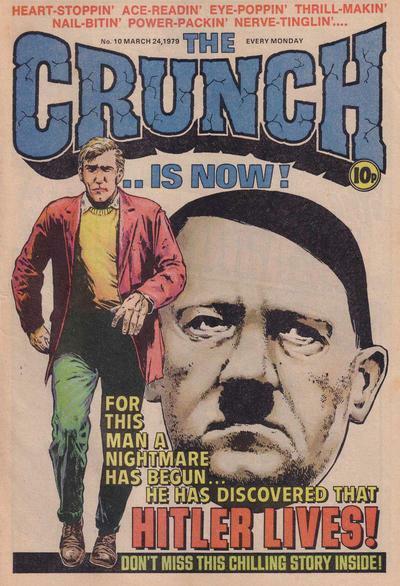 The Crunch, one of the many British boys comics of the fertile scene of the 70’s, was released by DC Thompson at the end of the Seventies, and, it could be argued, was their answer to IPC’s 2000AD anthology title. 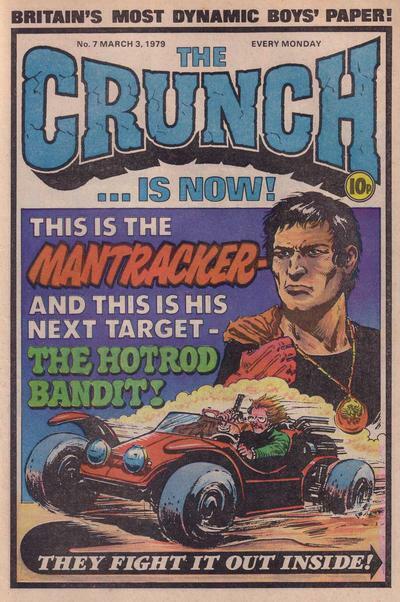 The serials included a formula that was proving to be popular at the time – a mix that included futuresport (‘Arena’), gritty action (‘Mantracker’), sci-fi (‘Starlord’) and thriller (‘The Kyser experiment’). 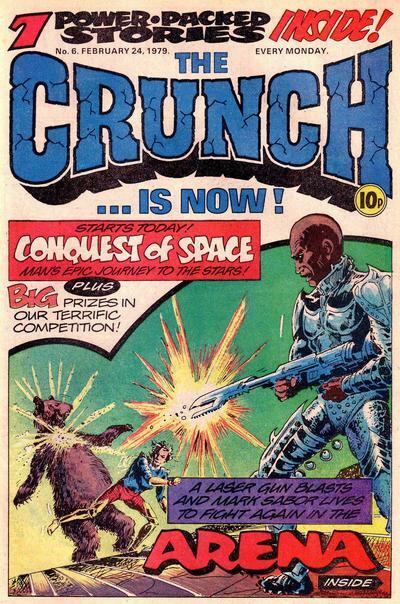 There was even a tribute to Roger Zelaney’s ‘Damnation Alley’ & Dredd’s ‘The Cursed Earth’ in the serial, ‘Plague 2000’ (see the cover of issue 14, below). 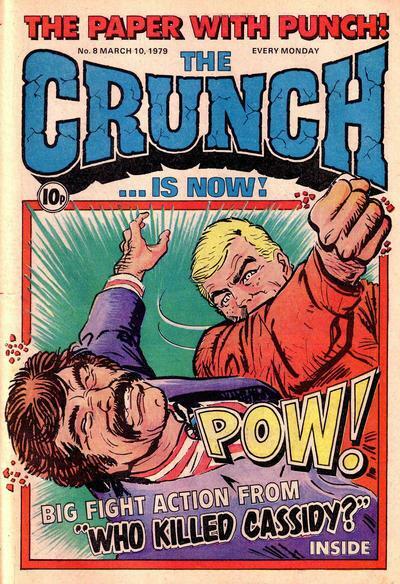 ‘The Crunch’ is famous for introducing ‘Ebony’ (Magallanes), who was not only the first female action heroine in a boys’ comic but was also black, which was groundbreaking stuff at the time. 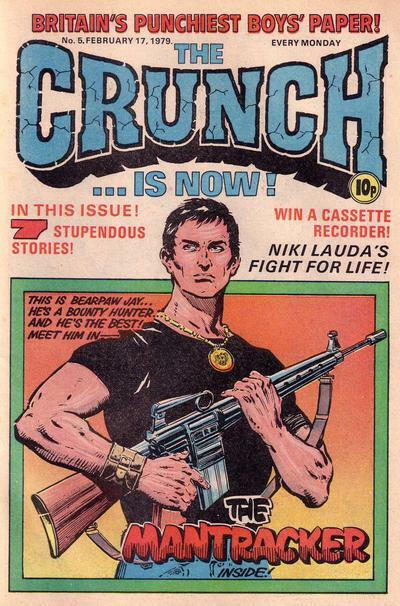 Ebony, agent in the ‘British Special Mission Squad’, used her expert karate skills to free her partner, Bleak, from Merando in Italy where he was being held by Nazi war criminals. 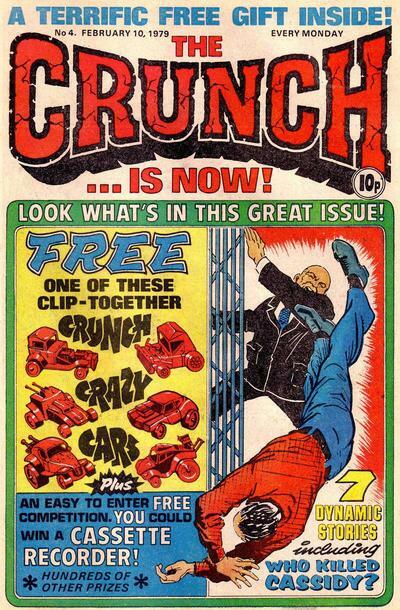 ‘The Crunch’ which many believe to be DC Thomson’s answer to 2000AD didn’t capture the readers’ imagination in the same way and more importantly the sales to compete with it’s IPC rival.. ‘The Crunch’ managed only 54 issues before merging, with a dull thud, to it’s much more conservative and older stable-mate ‘The Hotspur’.